David Price Proved His Doubters Wrong in a Tremendous Way This October. Entering the month of October fresh off having his best regular season in a Red Sox uniform, there was still plenty of skepticism surrounding David Price when performance matters most, in the postseason. Up until this year, the numbers in the playoffs simply had not been there for the left-hander, as he had yet to win a postseason game he started in nine tries. With his club owning the best record in baseball in the 2018 regular season, eyes began to turn to Price right after Chris Sale led the way for Boston in a Game One win over the New York Yankees in the ALDS. On a cool Saturday night at Fenway Park, the Tennessee native surrendered three earned runs on two home runs in less than two innings pitched. He would eventually get hit with another loss and did not appear in the series again. Fast forward to Game Two of the ALCS, another contest against a 100+ plus win team in the Houston Astros at Fenway, and Price made some strides towards exercising his postseason demons. Although he was far from great (four earned runs in 4.2 innings), Price kept his team in the game and gave them a chance to win, which they would eventually do to pull even with Houston. Four days after that, after the Red Sox had taken the first two games at Minute Maid Park, the former first round pick was presented with the opportunity to pitch his team to the World Series. With Chris Sale unavailable to start, not only did Price nearly come in as reliever the night before, but he dominated the Astros lineup in Game Five. Three hits, no walks, and nine strikeouts over six scoreless frames was more than enough, and it eventually earned Price his first ever winning decision as a starter in the postseason. Watching the post game festivities, you could tel it meant a lot for the 33-year-old to finally have one truly go his way in October, and he carried that over into the Fall Classic. The Red Sox came away with a 4-2 win at Fenway Park in Game Two last Wednesday, and they won for the final time this year in his last outing on Sunday. Coming off just one full day of rest from a relief appearance in Game Three, the southpaw held Los Angeles to one run in seven-plus quality innings, as the Red Sox took care of business with a 5-1 victory to win their ninth World Series title. So, here’s to David Price. He came, he saw, and now, he’s a World Series champion. And that can never be taken away from him. Author Brendan CampbellPosted on October 29, 2018 Categories Baseball, Sports, UncategorizedTags Baseball, boston, david price, dodgers, los angeles, mlb, red sox, world seriesLeave a comment on David Price Proved His Doubters Wrong in a Tremendous Way This October. RECAP: David Price Hurls Seven-Plus Masterful Innings and Steve Pearce Homers Twice as #RedSox Clinch 2018 World Series Title. The Boston Red Sox are once again on top of the baseball world following a 5-1 win over the Los Angeles Dodgers on Sunday to clinch their fourth World Series title since 2004. David Price got the start for this series-clinching Game Five on just one day of rest, and he was superb. Making his third appearance of this 2018 Fall Classic, the left-hander limited the Dodgers to one lone run on three hits and two walks to go along with five strikeouts over seven-plus quality innings of work. That one run came right away in the bottom of the first, where before Price could even settle into his outing, David Freese led things off for Los Angeles by ripping a 402 home run on the very first pitch he saw. Other than that little blip, the Dodgers threatened again in the third when JD Martinez could not locate a fly ball off the bat of Freese that resulted in a one out triple. From that point, Price buckled down, ended the third without allowing the runner to score from third, and proceeded to retire the next 12 hitters he faced going into the eighth inning. The Tennessee native would come back on for the eighth, but his superb night would ultimately come to an end after walking Chris Taylor on six pitches. Finishing with a final pitch count of 89 (58 strikes) in his final start of 2018, Price, who was caught by Christian Vazquez, relied on his four-seam fastball 37% of the time he was on the mound Sunday. He also topped out at 95.3 MPH with his two-seamer in the second inning. In relief of Price, Joe Kelly came in with a runner on and three outs to get in the eight, and he capped off his terrific October by striking out all three Dodger hitters he faced. And finally, in a game he was originally slated to start, Chris Sale came on to close this thing out in the ninth, and he did just that by also fanning all three hitters he faced, including a four pitch strikeout of Manny Machado to seal this World Series run in historic fashion. On the other side of things, the Red Sox lineup was matched up against Dodgers ace Clayton Kershaw, whose back was against the wall in this one. Fresh off collecting four RBI in Game Four of Saturday, Steve Pearce immediately made his presence felt in the first inning on Sunday by blasting a one out, two-run home run to give his team an early two-run advantage. Fast forward all the way to the sixth, and Mookie Betts broke out of an 0-for-13 slump by mashing his first and only homer of this World Series on a 2-2 89 MPH slider from Kershaw. 3-1. An inning later, JD Martinez also came through with his first big fly of this series that put the Red Sox ahead by three runs. And in the eighth, Steve Pearce, who would later be named the MVP of this World Series, mashed his second home run of the night to all but guarantee a Game Five and series win for Boston’s team. From @MLBStatoftheDay: Steve Pearce joins Babe Ruth and Ted Kluszewski as the only players 35 or older to have a multi-homer World Series game. The Boston Red Sox have won four World Series titles in the last 15 years. Alex Cora is the first Puerto Rican manager to win a World Series. From @BusterOlney: ELIAS: If the Red Sox win, David Price will have clinched two consecutive series against Cy Young winners – Justin Verlander and Clayton Kershaw – in the same postseason. That’s never been done before. What a year, and what a way to cap it off. The 2018 Boston Red Sox are one of the greatest baseball teams of all time. There is no doubt about that. Steve Pearce is your MVP of the series. Author Brendan CampbellPosted on October 28, 2018 Categories Baseball, Sports, UncategorizedTags andrew benintendi, Baseball, boston, brock holt, christian vazquez, clayton kershaw, david price, dodgers, jd martinez, los angeles, mlb, mookie betts, rafael devers, red sox, steve pearce, world series, xander bogaertsLeave a comment on RECAP: David Price Hurls Seven-Plus Masterful Innings and Steve Pearce Homers Twice as #RedSox Clinch 2018 World Series Title. RECAP: David Price Fans Five over Six Quality Innings as #RedSox Head to Los Angeles Two Wins Away from World Series Title. The Boston Red Sox stand just two victories away from their ninth World Series title in franchise history following a 4-2 win over the Los Angeles Dodgers on Wednesday night. It was another chilly evening at Fenway Park, and David Price, who was making his first appearance in a World Series since 2008, picked up right where he left off in Game Five of the ALCS with another stellar performance. Tossing six complete innings in this one, the left-hander only surrendered two earned runs on three hits and three walks to go along with five punch outs in his fourth start of this postseason. Both of those runs given up by Price came in the fourth inning after the Tennessee native seemingly breezed through the first three frames. There, the Dodgers loaded the bases without recording an out to lead things off, and a sacrifice fly from Matt Kemp, followed by a two out single from Yasiel Puig, put Los Angeles ahead 2-1 at the time. Despite that rough patch, Price rebounded by retiring the seven final hitters he faced to send this game into the middle of the seventh and pick up the eventual winning decision. He got some help along the way from Andrew Benintendi as well. Finishing with a final pitch count of 88 (58 strikes), the 33-year-old, with Christian Vazquez behind the plate, threw 33 four-seam fastballs, 25 changeups, 23 two-seam fastballs, and seven changeups. He also topped out at 94.6 MPH with that two-seamer in the fourth inning. With the Red Sox now unbeaten in Price’s last three October starts, I wouldn’t expect to see the southpaw start in another game of this Fall Classic until it comes back to Fenway Park, if that is even necessary. In relief of Price, the Red Sox bullpen was responsible for the final three innings of Wednesday night’s contest, and once again, were extremely effective. Joe Kelly got the first call for his second appearance of this series, and he fanned two of the three batters he faced while hovering around 100 MPH on the radar gun in a scoreless seventh. Speaking of high velocity, Nathan Eovaldi came on for his second outing in as many days to work the top of the eighth, and he too topped out at 100.3 MPH with his fastball in a 1-2-3 inning. Finally, in the ninth, Craig Kimbrel looked to lock up his first career World Series save, and he needed just nine pitches to do that and secure a 2-0 lead for his team as they head out west. On the other side of things, the Red Sox lineup was matched up against another Dodgers left-handed starter in the form of South Korea native Hyun-Jin Ryu, who entered Wednesday with a 4.40 ERA in three postseason starts this October. With the majority of this lineup outside of the veterans like Ian Kinsler, JD Martinez, and Steve Pearce having never faced Ryu before, it took some time for the bats to get going. That happened in the bottom of the third, when Kinsler got the scoring for his team started by ripping a two out RBI double to drive in Xander Bogaerts, who had previously doubled, from second. 1-0. Fast forward to the bottom of the fifth, with Boston trailing by a run, and it ended up being Andrew Benintendi who would chase Ryu from this game by drawing a two out walk to load the bases for Steve Pearce. Following a pitching change that saw Ryan Madson take over things with runners on for the second consecutive night, Pearce exhibited some patience and drove in what was the tying run at the time by drawing yet another walk. 2-2. Just a few moments after that, JD Martinez put an exclamation point on this game by promptly unloading the bases and driving in Mookie Betts and Benintendi in from scoring position on a line drive two RBI double to right field. Since Yasiel Puig was playing so deep in that situation, the ball easily landed in front of him, which allowed both runners to score. Had Puig been playing in more close, who knows how that goes. Regardless of that, Martinez’s 12th and 13th RBI of this postseason would be all the Red Sox would need to pick up a Game Two win. The Red Sox are 9-0 this postseason when they score first. Mookie Betts collected three hits on Wednesday night. In his last two postseason starts, David Price is 2-0 with a 1.50 ERA over 12 innings pitched. Heading out to California with two games at hand, it will be Rick Porcello getting the starting nod for the Red Sox in Game Three after an off day. In two prior starts at Dodger Stadium, Porcello is 1-0 with a 5.91 ERA and 1.97 WHIP over 10.2 innings of work. Opposite Porcello will be Dodgers right-hander Walker Buehler, who’ll bring in a career 5.40 postseason ERA into his first ever World Series start. The Red Sox are winners of five in a row. How many more wins do they need to clinch this World Series? First pitch of Game Three of the World Series is scheduled for 8:09 PM ET Friday on FOX. Author Brendan CampbellPosted on October 25, 2018 Categories Baseball, Sports, UncategorizedTags andrew benintendi, Baseball, boston, craig kimbrel, david price, dodgers, hyun-jin ryu, jd martinez, joe kelly, los angeles, mlb, mookie betts, nathan eovaldi, red sox, steve pearce, world seriesLeave a comment on RECAP: David Price Fans Five over Six Quality Innings as #RedSox Head to Los Angeles Two Wins Away from World Series Title. RECAP: #RedSox Punch Ticket to World Series as Jackie Bradley Jr. Is Named ALCS MVP. For the first time since 2013, the Red Sox are headed back to the World Series following a 4-1 win over the Houston Astros at Minute Maid Park on Thursday night. In a game that wasn’t necessarily a must win for Boston, David Price put together perhaps the best postseason performance of his career in this Game Five. Pitching six full innings on only three days rest, the left-hander held the Astros scoreless on just three hits and zero walks to go along with nine strikeouts on the night. Mookie Betts supported the cause. Given the fact it looked as though he could have been inserted into Wednesday’s night game as a late inning reliever, I would say Price exceeded expectations and then some with is outing. To go into Houston, face an Astros team with their backs against the wall, and throw up six straight shutout frames is extremely impressive. As a matter of fact, it’s the first time in Price’s 11-year career that he got the winning decision in a postseason game he started. Finishing with a final pitch count of 93 (65 strikes), the Tennessee native had his changeup working for him, and he turned to it 39 times on the mound, which resulted in 12 total swings and misses. He also topped out at 95.8 MPH with his two-seam fastball, a pitch he threw 15 times. All and all, David Price exercised his playoff demons on Thursday, got that monkey off his back, and should be your starting pitcher for Game Two of the World Series come next Wednesday night at Fenway Park. In relief of Price, the heavily used Red Sox bullpen was responsible for the final nine outs in this contest, and they saw things through to completion. Matt Barnes got the first call to start the seventh, and he recorded the first two outs of the inning before serving up a solo home run to Marwin Gonzalez to put Houston on the board. That would be followed by a seven pitch walk of Tony Kemp, and that made way for Nathan Eovaldi to come in and try to escape a bit of a jam. Pitching for the first time since tossing six quality innings as Tuesday night’s starter, Eovaldi made his presence felt immediately by retiring the side in the seventh and then reaching 102 MPH in the eighth to fan Alex Bregman for the second of three outs recorded by the Houston native in the frame. Finally, Craig Kimbrel came on for the save opportunity with a three run lead to work with in the ninth after throwing two innings less than 24 hours prior, and he worked his way around a one out walk in an otherwise clean frame to send his club to the World Series. On the other side of things, the Red Sox lineup was matched up against Astros ace right-hander Justin Verlander, who came into Thursday with a 4-0 record and 1.15 ERA over the last four starts he has made with his team facing elimination. The last time they saw Verlander, the Red Sox lineup could muster all but two runs on two outs in a Game One loss last Saturday, but that turned around for the better last night. Starting the scoring in the third of this one was JD Martinez, a former teammate of Verlander’s, whose one out solo home run, his first and only of the series, put Boston on the board first. Fast forward to the sixth, and Mitch Moreland would wind up acting as the catalyst for a three-run inning by reaching second on a leadoff double. One Ian Kinsler single that advanced Moreland to third later, Rafael Devers came to the plate without a hit up to that point, but he would come through with the biggest at bat of the night. On the first pitch he saw from Verlander, the 21-year-old infielder belted a 98 MPH fastball located at the top of the strike zone 359 feet into the Crawford Boxes in left field. That put the Red Sox up 4-1 and they would not have to look back en route to clinching their 14th American League pennant. After finishing this series with nine RBI, all of which came with two outs, Jackie Bradley Jr. was named ALCS MVP. A huge honor for someone who was not always a fan favorite this season. Thursday was Alex Cora’s 43rd birthday and the Red Sox went ahead and got him a trip to the World Series. From @MLBStatoftheDay: The Red Sox are the first team to eliminate multiple 100-win clubs in one postseason since… The 2004 Red Sox! Rafael Devers went 5/13 with one home run and six RBI over the span of five games in this series. The Red Sox are still unbeaten on the road in October. So, there you have it. Now, the Red Sox wait and see who comes out of the NLCS between the Los Angeles Dodgers and Milwaukee Brewers, with Los Angeles having the edge in that series at three games to two. I should have more on all of this sometime later today, but for now, let’s just enjoy the celebration. 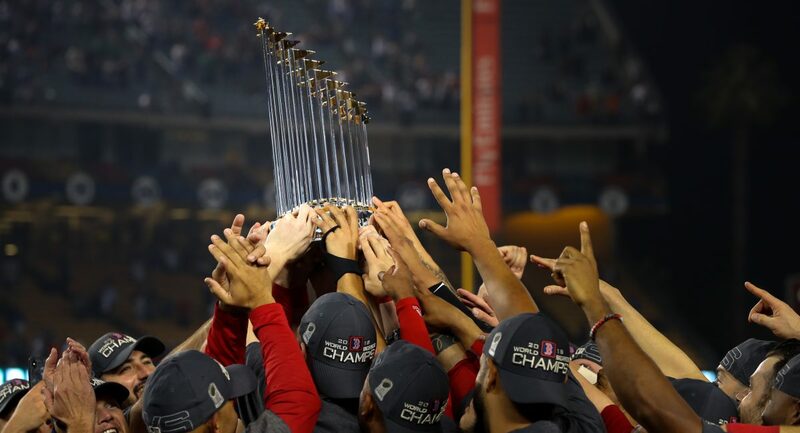 Author Brendan CampbellPosted on October 19, 2018 Categories Baseball, Sports, UncategorizedTags astros, Baseball, boston, david price, houston, jd martinez, justin verlander, mlb, red soxLeave a comment on RECAP: #RedSox Punch Ticket to World Series as Jackie Bradley Jr. Is Named ALCS MVP. RECAP: Andrew Benintendi Makes Game-Saving Catch in Ninth Inning as #RedSox Jump up 3-1 on Astros in ALCS. In a game that took over four and a half hours to complete, the Red Sox found themselves just one win away from clinching the American League pennant following an enthralling 8-6 win over the Houston Astros on Wednesday night. Making his second start (fourth appearance) of the postseason in this one was Rick Porcello, and he did not have it going on early. Tossing four innings seemingly out of necessity, the right-hander got hit hard, as he surrendered a postseason-high four earned runs on seven hits, one walk, and one HBP to go along with three strikeouts on the night. Right from the get go, it was clear to see Porcello was struggling to find any sort of rhythm. The Astros were making hard contact and getting on base, which could have led to two runs crossing the plate in their half of the first, right after the Red Sox scored a pair of their own, had it not been for Joe West ruling this ball off the bat of Jose Altuve as fan interference. Crew Chief reviews call of spectator interference in the 1st; call stands, spectator interference. I don’t want to get into this too much, since like Tuesday’s controversy, it really did not make a difference in the end, but I do believe it’s pretty obvious that Mookie Betts would have made that spectacular catch had that fan not shut his glove closed. Any who, Porcello got out of the first unscathed. Great, maybe he’ll start to settle in a bit after getting that out of the way, I thought. Nope, instead Josh Reddick and Carlos Correa greeted the New Jersey native in their half of the second by consecutively reaching base, and that led to Houston’s first run of the night coming around to score on a Correa RBI single. An inning later, George Springer, who seemingly hits a home run in almost every postseason game he plays in, was at it agin with a leadoff solo shot to right field that cut Boston’s lead to one momentarily. After a Jose Altuve double to follow that up and two straight outs, Josh Reddick continued his revenge tour against the team he came up with by ripping a line drive RBI single to left to drive in Altuve. Tie game. In his final frame of work, Porcello failed once again to retire the side in order, as he served up a one out, solo home run to Astros left fielder Tony Kemp, who put his club up by a run with his first homer of the series. Finishing his night by getting Jose Altuve to pop out to first for the final out of the fourth, Porcello would finish with a final pitch count of 68 (46 strikes). Out of those 68 pitches, the 29-year-old hurler, who was caught by Christian Vazquez, relied on his slider the most at 31% of the time and topped out at 92.9 MPH with his four-seam fastball in the first inning. He only induced seven total swings and misses as well. Whether we see Porcello again in this series will probably be indicative on whether or not it goes back to Boston. If the Red Sox clinch the pennant tonight, then there’s obviously no need for him until the World Series. But, it would not shock me to see Alex Cora turn to Porcello in a late, close game at Fenway either. In relief of Porcello, the Red Sox bullpen was responsible for locking down the final five innings of Wednesday night’s contest. Joe Kelly (1-1) got the first call in the fifth with the game tied at four runs each, but surrendered the then go-ahead run on another Carlos Correa RBI single in the lone inning he appeared in. Eduardo Rodriguez was next up with left-handed bat Tony Kemp set to leadoff the sixth, and he walked him on seven pitches, the last three of which were all balls. Not ideal. That made way for Ryan Brasier to clean up that small mess, and he did just that by sitting down the 1-2-3 hitters in the Astros lineup in consecutive fashion. With his team up 7-5 by the time he took the mound again for the seventh, Brasier would be unable to do his job this time, as he gave up a leadoff single to Marwin Gonzalez and a two out double to the pesky Carlos Correa to put runners at second and third. Matt Barnes got the next call from Alex Cora in this crucial spot with the pinch-hitting Tyler White at the plate for Houston, and he managed to strikeout White while his bat never left his shoulder. Inning over. Finally, Craig Kimbrel came on in an extremely rare SIX out save situation with a three-run lead to protect, and somehow, someway he did it. It was far from easy and certainly very stressful with the Astros cutting their deficit down to two in the eighth and then loading the bases with two outs in the ninth, but Kimbrel was bailed out twice by his stellar outfield. The first came in eighth, when the aforementioned Tony Kemp tried to stretch a leadoff single into a leadoff double, but his childhood friend, Mookie Betts, had other ideas. And in the ninth, with two outs and an Astro on every base, Andrew Benintendi made the catch of his life on a screaming line drive off the bat of Alex Bregman that was falling rapidly. Absolutely unreal. That’s how this ballgame would end only four and a half hours after it started. On the other side of things, the Red Sox lineup was matched up against Astros veteran right-hander Charlie Morton, who hadn’t seen any in-game action since the end of September. Like they did off of Gerrit Cole on Tuesday, the top of the lineup got things started right away in the first, as Mookie Betts and JD Martinez drew a pair of walks to put runners on first and second with one out. A wild pitch with Xander Bogaerts at the plate would allow both runners to advance into scoring position, but Bogaerts was unable to bring them home. Fortunately, Rafael Devers, who has seemingly turned into an elite hitter in the postseason, came through with a two out, two RBI single to left field that saw his club take an early 2-0 lead. Over the next four innings, not only was Morton knocked out of this contest, but a pair of Xander Bogaerts RBI base knocks, one in the third and one in the fifth, gave the Red Sox a two-run lead and then pulled them even with Houston at four runs each. In the sixth, a red-hot Jackie Bradley Jr. came up looking for his first hit of the evening with two outs and Christian Vazquez at second following a double, and he did just that by smoking a 89 MPH changeup from Astros reliever Josh James 385 feet down the right field line. That put Boston up 6-5, and they would not have to look back on that lead despite some late inning concerns. To add on what would become much needed insurance, a Brock Holt bases loaded walk in the seventh, followed by a JD Martinez RBI single in the ninth, would eventually be all the Red Sox would need to go up 3-1 in this American League Championship Series. Including the Postseason, the Red Sox are 14-0 in 2018 when Jackie Bradley Jr. hits a home run. The Red Sox are 4-0 on the road this postseason. With the opportunity to clinch a spot in the World Series with a win tonight, it will be David Price, not Chris Sale, on the mound for Boston. Pitching on only four days rest, it appeared as though Price was available to come out of the bullpen if needed on Wednesday, but that did not happen. In his only other appearance of this series, the southpaw nearly earned the winning decision in 4.2 innings of four-run ball in Game Two at Fenway Park last Sunday. Opposite Price will be Astros ace Justin Verlander, who allowed just two runs to score over six quality innings of work in a Game One win for Houston. A lot is on the line Thursday, and first pitch of Game Five is scheduled for 8:09 PM ET on TBS. Author Brendan CampbellPosted on October 18, 2018 Categories Baseball, Sports, UncategorizedTags andrew benintendi, astros, Baseball, boston, charlie morton, craig kimbrel, david price, eduardo rodriguez, houston, jackie bradley jr, jd martinez, joe kelly, matt barnes, mlb, mookie betts, rafael devers, red sox, rick porcello, ryan brasier, steve pearce, xander bogaertsLeave a comment on RECAP: Andrew Benintendi Makes Game-Saving Catch in Ninth Inning as #RedSox Jump up 3-1 on Astros in ALCS. 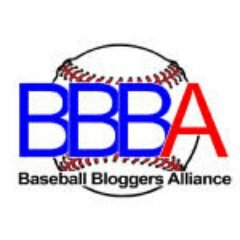 Author Brendan CampbellPosted on October 15, 2018 Categories Baseball, Sports, UncategorizedTags andrew benintendi, astros, Baseball, boston, chris sale, craig kimbrel, david price, gerrit cole, houston, jackie bradley jr, matt barnes, mlb, mookie betts, rafael devers, red sox, rick porcello, ryan brasierLeave a comment on RECAP: Jackie Bradley Jr.’s Go-Ahead Three-Run Double Lifts #RedSox to 7-5 Win over Astros in Game Two of ALCS. RECAP: David Price’s Postseason Struggles Continue as #RedSox Drop Game Two of ALDS to Yankees. After taking Game One in a 5-4 win over the New Yankees on Friday night, the Red Sox looked to go up two games in this American League Division Series with another victory at Fenway Park on Saturday. Making his first start of this postseason, David Price looked to expel his October demons with a quality outing last night, but a las, could not a get the job done once again. Pitching into just the second inning of this one, the left-hander got hit hard for three earned on three hits and two walks all while failing to record a single strikeout. Similar to a start he made against New York on September 19th in which he served up three home runs, the home run ball was again not Price’s friend yesterday. Right from the get go, the Tennessee native was greeted by Aaron Judge with one out in the top half of the first, and he made his presence felt by mashing his second home run of the series to put his team up by one early. An inning later, Gary Sanchez, who hit .667 off of Price over the course of the regular season, hit his first of two long balls on the night to lead off the second. Following two consecutive two out walks and an Andrew McCutchen RBI single in the same frame, Price’s night would come to a disappointing close with Aaron Judge due up next for the Yankees. Finishing with a final pitch count of 42 (24 strikes), the 33-year-old hurler threw 12 four-seam fastballs, 12 two-seam fastballs, 10 changeups, and eight cutters. He also topped out at 95.2 MPH with that four-seamer in the second inning. Dropping to 0-1 yet again, this is but another disappointing addition to Price’s playoff resume. Since joining the Red Sox prior to the 2016 season, the Vanderbilt alum has tossed 11.2 postseason innings over four games, two of which were starts. In that span, he owns a 6.17 ERA, an 0-2 record, and an .853 OPS against. Over the course of his career, just take a look at this tweet. The Yankees defeat the Red Sox 6-2 to even the #ALDS at 1-1. To be paid as much as Price is being paid and consistently perform like he did on Saturday is far from ideal. In relief of Price, the majority of the Red Sox bullpen, outside of Eduardo Rodriguez, actually held their own in this one. Joe Kelly got the first call with two outs in the second and runners on the corners, and he escaped the early jam by getting Aaron Judge to line out to right field. After two additional scoreless frames from Kelly, it was Ryan Brasier’s turn for the second consecutive night to begin the fourth, and he looked much better in a clean inning compared to how he performed on Friday. In addition to the solid scoreless inning of relief, Brasier also had his “rivalry” moment by yelling at Gary Sanchez to get back in the batter’s box after stepping away from the plate for the umpteenth time of the at bat. From that point on, Brandon Workman and Eduardo Rodriguez combined to work a scoreless sixth inning, but this contest would get away from the Red Sox in the top of the seventh, when with one out and runners on first and third, Rodriguez could not sneak a 2-1 fastball over the heart of the plate with Gary Sanchez up to bat, and the Yankees catcher sent it 479 feet over everything in left field. That big fly, Sanchez’s second of the night, made it a 6-1 game, and New York would not have to look back on their way to a series-evening win. It’s also worth noting that Heath Hembree, who was added to Boston’s ALDS roster in place of Steven Wright prior to Saturday’s game, was responsible for the final two innings, and despite walking three, did not allow a run to cross the plate. So, given the circumstances of David Price failing to make it out of the second inning, I would chalk this up as a win for the Red Sox bullpen, outside of the three-run homer Eduardo Rodriguez gave up, of course. On the other side of things, the Red Sox lineup was matched up against Yankees right-hander Masahiro Tanaka, who pitched to a tune of a 6.52 ERA in two starts at Fenway Park this regular season. Like Friday, runs were hard to come by for Boston, and they could not get anything going until their half of the fourth. Already trailing by three runs, Xander Bogaerts delivered with one out in the inning by demolishing the first pitch he saw from Tanaka 411 feet to center field for his second career postseason home run. 3-1 New York. Fast forward to the bottom half of the seventh, now trailing by five runs, and Ian Kinsler came through with the only other RBI knock from a Red Sox hitter on a hard hit RBI double off of Dellin Betances to plate Mitch Moreland all the way from first and make it a 6-2 game which would go on to be the final score. Unfortunately, Moreland came up grabbing his right hamstring as he was rounding third on the play, and he would have to be replaced by Steve Pearce at first a half inning later. According to Alex Cora, Sunday’s treatment at Yankee Stadium will determine if Moreland, who was diagnosed with right hamstring tightness, is ready for Game Three, but he will not be removed from the ALDS roster. After a day off in New York on Sunday, the Red Sox will look to once again go up a game in this tightly contested division series on Monday night at Yankee Stadium. It was just announced that Nathan Eovaldi, not Rick Porcello, will get the start for Boston on Monday. Eovaldi, who has yet to pitch in this series, posted a 1.93 ERA over four starts, both with the Tampa Bay Rays and Red Sox, against the Yankees this season. Opposite Eovaldi will be another right-hander for the Yankees in the form of the flame throwing Luis Severino, who tossed four scoreless innings in his last time out against the Oakland Athletics, which helped lift his club to another American League Wild Card win. First pitch of the third game of the series is scheduled for 7:40 ET Monday on TBS. Maybe Brock Holt and Rafael Devers will play. Author Brendan CampbellPosted on October 7, 2018 Categories Baseball, Sports, UncategorizedTags aaron judge, Baseball, boston, david price, eduardo rodriguez, gary sanchez, heath hembree, joe kelly, masahiro tanaka, mlb, new york, red sox, ryan brasier, yankeesLeave a comment on RECAP: David Price’s Postseason Struggles Continue as #RedSox Drop Game Two of ALDS to Yankees.